Lightness and breathability are the features that characterise the T-shirt Eiger by Erreà. This short-sleeve T-shirt is perfect to wear for doing sports such as football and five-a-side football: distinguished by a minimal, neat and elegant design, it has a semi-snug fit and is made from a lightweight fabric that assures optimal breathability and helps keeping your skin fresh and dry. You will certainly appreciate the V-neck at the front combined with a slightly upturned and shaped collar that provides optimal comfort. 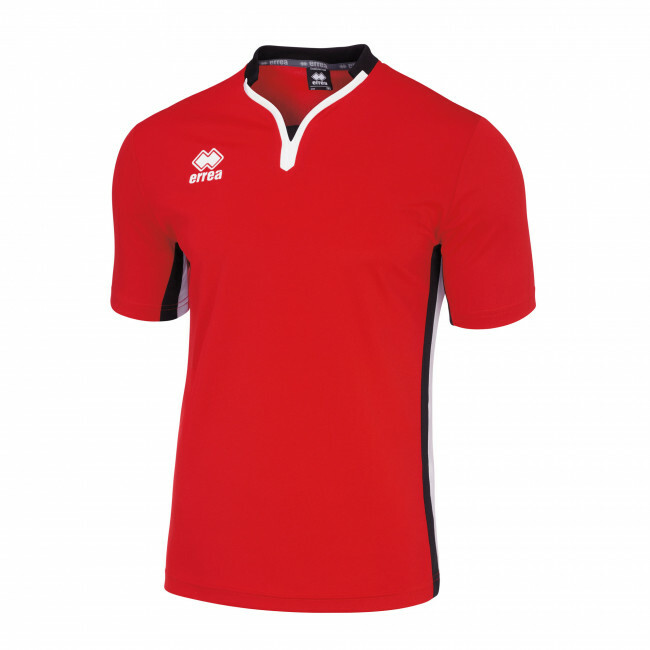 The inlaids on the sides and on the neck will allow you to customise the T-shirt with the colours of your team. Materials: Mundial/Utility.